Jun-Hwan Cha of South Korea performs his free skate at JGP Yokohama. Last week, South Korea’s Jun-Hwan Cha won the gold medal at the Junior Grand Prix (JGP) event in Yokohama, Japan, earning the highest total score (239.47 points) ever by a junior man. Cha made his JGP debut with a strong performance in the short program. Skating to the music from “A Chorus Line” soundtrack, his program featured a triple Lutz–triple toe combination, a solid triple Axel and high quality spins and footwork. As a result, he was rewarded with a new personal best score of 79.34 points, placing second in the segment after Vincent Zhou from the United States. Jun-Hwan Cha performs his free skate at JGP Yokohama. Based on the result of the draw for free skate, Cha was the last one to skate. He delivered a nearly clean program the following day. Skating to music of “Mi Mancherai” from “Il Postino,” the two-time Korean national bronze medalist beautifully landed a quadruple Salchow with 2.0 Grades of Execution and seven clean triple jumps. Despite losing some levels on the spins, his virtually clean performance earned him 160.13 points, another personal best, and placed him first both in free skate segment and overall. His combined score of 239.47 points was not only the highest score on the JGP circuit this season so far, but also broke the junior men’s record previously set by Japan’s Shoma Uno, by 1.2 points. 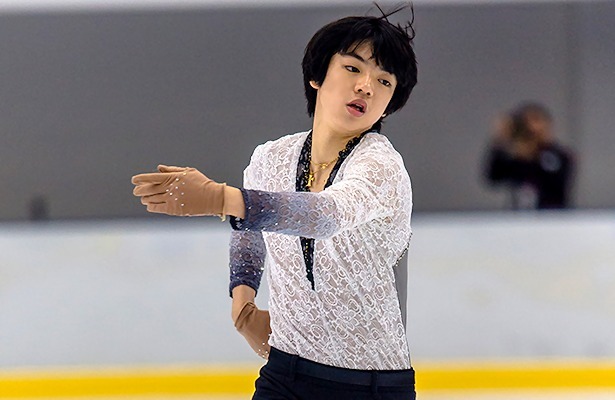 The skater from Seoul had been training under Hae-sook Shin in his home town until March 2015 when he moved his training base to the Toronto Cricket Club in Canada where he began training under Brian Orser. Cha will continue his JGP journey in Dresden, Germany, the first week of October, and aims to qualify for the JGP Final.